telephone, kids can answer and receive calls, but when saving in the contacts, kids can only receive calls, can't make calls! 【More Functions Than You Imagine】: Now we have set up 16 main functions on this watch: LBS location, Phone book,Talk-back, Footprint , Watch alarm clock, Safe area, SOS emergency alarm, Low-power, Alarm, Remote shutdowm, Lighting, Game, Camera, Photo album, Theme, Stopwatch, Self dialing. More functions are available on our APP, please download new version in time. 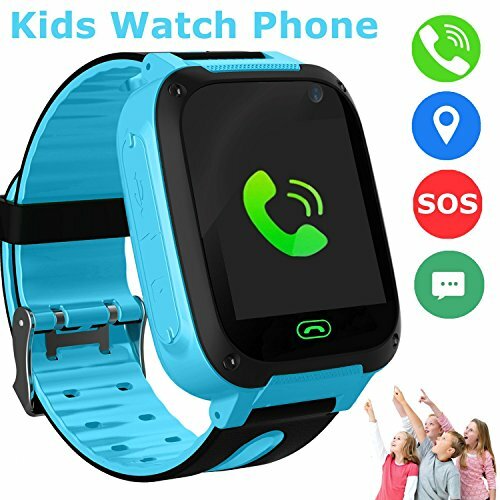 【AGPS + LBS (Base Station Location)】 kids smart watch, double mode positioning means double safety for children, Realize all-day real-time location tracking, more accurate positioning, children just click SOS to connect the phone, At the same time, parents can check the location anytime, anywhere by SMS, website, IOS or Android APP. 【About the SIM CARD】Watch as an unlocked GSM mobile phone, support micro SIM card, we only provide Smartwatch, but no SIM card, please purchase additional GSM network SIM card, we recommend SPEEDTALK SIM (belonging to T-mobile network), watch SIM card needs to be enabled GPRS function and caller ID function, must be compatible with 2g of data traffic, watches currently only use 2g of data traffic. 【Our services】 If you meet some problem in setting the watch. Before returning it back, Please feel free to contact us:3334754988@qq.com. We will make a reply in 24 hours to help you to solve the problem. If you have any questions about this product by SZBXD, contact us by completing and submitting the form below. If you are looking for a specif part number, please include it with your message.